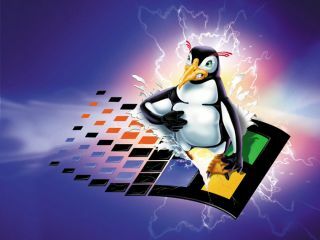 Linux and Windows: best friends at last? After years of struggling with the success of open source operating systems, Microsoft has finally written some Linux code. Today Microsoft submitted 20,000 lines of code to the Linux kernel community for inclusion in the Linux tree. The three device drivers are being released under the GPLv2 license, which is the Linux community's preferred license. Sam Ramji of Microsoft's Open Source Technology Centre (OSTC) said, "Our strategy is to enhance interoperability between the Windows platform and many open source technologies, which includes Linux, to provide the choices our customers are asking for." "More and more customers and open source partners are telling us they see some of their best value when they deploy new open source software solutions on top of existing Microsoft platforms. Today's release would have been unheard of from Microsoft a few years ago, but it's a prime example that customer demand is a powerful catalyst for change." Times have certainly changed since Bill Gates famously called Microsoft's efforts to prevent chip-making partner Intel from using Linux as a 'jihad', and since the Redmond-based company sued Linux users (such as TomTom) for patent infringments. Today's Linux drivers are "designed so Linux can run in enlightened mode, giving it the same optimised synthetic devices as a Windows virtual machine running on top of Hyper-V." If that helps any.